Bottiglia Cucina & Enoteca is not your typical Henderson Restaurant. While the city is famed for its glitz and glamour, the setting is far more serene at Bottiglia. Nestled in the gorgeous Green Valley Ranch Resort, our restaurant features a stunning Amalfi Coast-inspired interior and some of the best Italian cuisine in the city. Read on to learn just a few of the many reasons why Bottiglia is a destination-worthy restaurant that is unlike any other! Bottiglia Cucina & Enoteca is located in the Green Valley Ranch (sometimes just called the GVR). This is a hotel-casino resort which is located in the lovely and peaceful Green Valley. While the property is located just minutes from all the bustle of the Strip, it feels like a peaceful oasis. It’s a popular destination for both tourists and locals alike, so the vibe is chill and welcoming. 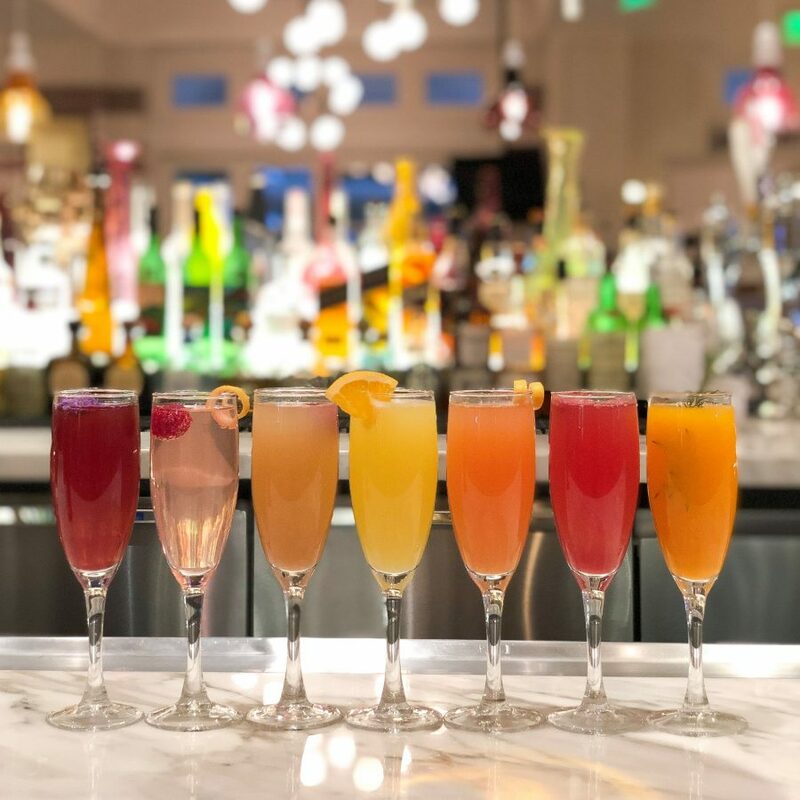 Featuring plenty of entertainment, gaming, and world class dining, the Green Valley Ranch is a wonderful place to enjoy a leisurely meal, and Bottiglia is just the place to do it! At Bottiglia, we pride ourselves on offering some of the best cuisine in the Green Valley Ranch. But we also pride ourselves on providing one of the most beautiful spaces to enjoy your meal! Bottiglia takes its inspiration from Italy’s Amalfi Coast. As you enter the space, you’ll find a bright, airy, and beautifully designed venue. With soft, watercolor-esque details and florals throughout the space, it’s a calming and clean design that makes you feel relaxed and at home. 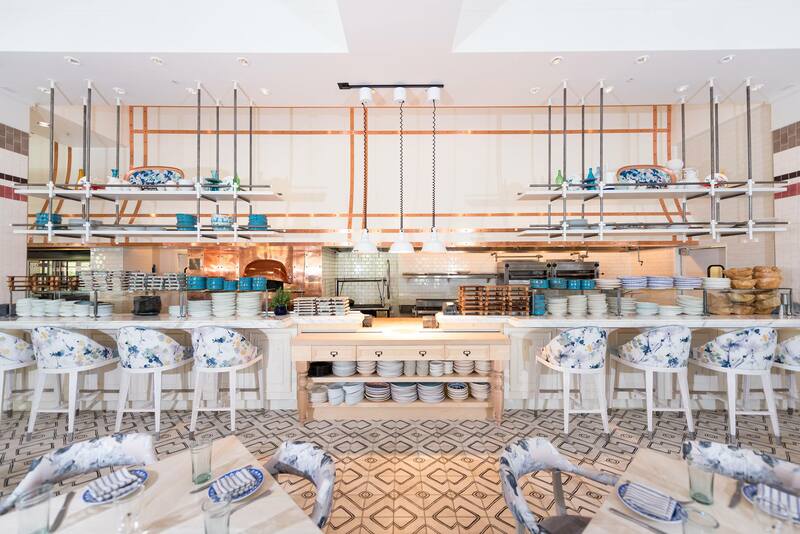 Designed by the award-winning design group Studio Munge, Bottiglia’s unique design makes it an Italian getaway right in the heart of Las Vegas. The best brunch in the Green Valley Ranch! Brunch is one of the most beloved meals of the week, and the offerings are extra special at Bottiglia. No matter what you’re craving, we’ve got your fix on our extensive menu, which includes breakfast classics and more lunch-friendly fare as well. For those who like to start out sweet, our Coffee Caramel Pecan Sticky Bun, served with vanilla mascarpone icing, is the perfect indulgence. For those who want to impress their Instagram followers, our Avocado Toast is not only on-trend, but extremely delicious, served with rustic bread, basil pesto, and heirloom tomatoes. If you prefer a more classic brunch entree, you’ll love our Prosciutto Eggs Benedict. The prosciutto gives it an Italian twist, but it’s otherwise reverent to tradition, made with poached eggs on english muffin halves, and served with hollandaise. You’ll definitely be feeling happy when you hit up Bottiglia’s epic happy hour. Every Monday through Friday from 5-7pm, we’ve got an incredible happy hour where you can score awesome food and drink specials. Feast on our Italian Wedding Soup, Zucchini Flowers, Arancini and more food items while sipping a glass of house wine, draft beer, or a specialty cocktail. Food and drink items are all just $7 each! Did you know that Bottiglia actually means “bottle” in Italian? We like to think that we live up to the name and we think you’ll agree once you take a gander at our impressive wine list. Our list is organized by style, making it accessible to wine geeks and newbies alike, making it easy to seek out the type of wine you’re interested in on a given visit. The list is also extensive. While there’s a definite emphasis on Italian wine, we actually offer bottles from all over the world, because we like to offer plenty of options to pair with our creative cuisine. Whether it’s an Italian Sangiovese, a French Rosé, or a California Pinot Noir, you’ll find the perfect wine on our list. 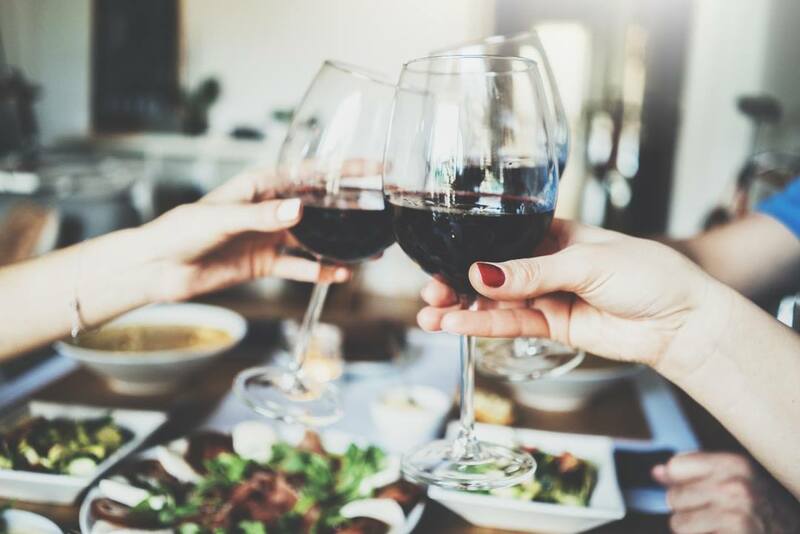 There’s even more good news for wine lovers: on Thursdays, our Wine & Dine event features select bottles for 50% off, and we also have a Wine Club, where after purchasing 5 bottles you’ll get your 6th for free. Sounds like a good reason to make a return trip! When’s the last time you paid just a dollar for…well, anything? 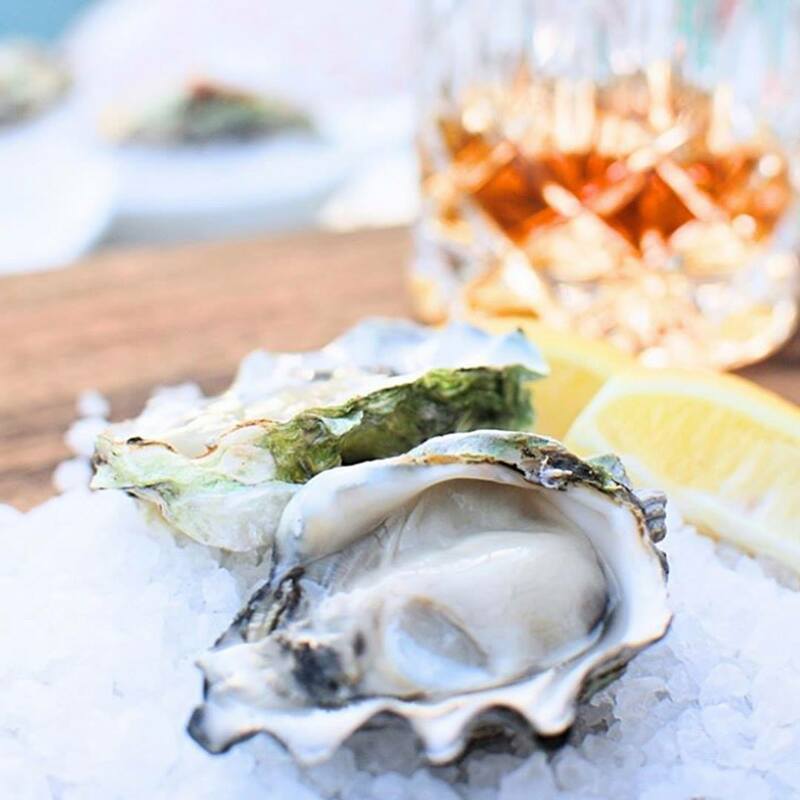 At Bottiglia, our pricing is a #throwback to a simpler time on Tuesdays, when we offer oysters for a buck a shuck. Get your fill of luscious oysters, and treat yourself to a luxe cocktail like our Fresca Fizz, which is made with your choice of Grey Goose Vodka or Bombay Sapphire East Gin, raspberries, mint, and prosecco. Amazing Italian cuisine and incredible live music–what could be finer? Dinner is better with live entertainment, and we’ve got a great roster of acts lined up. Every Friday, we make the weekend kickoff extra festive by hosting live music. With a rotating lineup of the best local talent, it’s the perfect way to augment your night out and soak in some culture! Plenty of family friendly fun. While Las Vegas and “kid friendly” might not necessarily coexist in most people’s minds, it’s definitely the case at Bottiglia. We’re committed to providing the perfect spot to enjoy stellar cuisine in a stunning setting…and we want you to bring the whole family! Not only do we have a special “Bambino” menu for kids that is available on a daily basis, but we also frequently host special themed brunches for kids, where we offer brunch and a craft activity for an affordable price. Food is love, and we believe you should share it with the whole family! Conclusion: If you’re looking for a different type of dining experience in Las Vegas, look no further than Bottiglia Cucina & Enoteca. Not only are we serving up some of the most delicious and creative Italian cuisine in the area, but we also offer plenty of promotions and events that make every visit extra special. Come see for yourself how unique (and delicious) our offerings are! We hope to see you soon in our Green Valley Ranch Italian restaurant. What do you love best about Bottiglia?